Get all the facts in this Breezer Thunder One Review. Okay, so you’ve been thinking that you want to get serious about mountain biking with a rad ride to take to the trails. You’ve been setting some money aside so that you can get exactly what you want. I understand where you’re coming from because an MTB is a big investment. But you want to do it right. You’ve done the research online. You’ve searched for info on the Breezer Thunder One, but you’re still not sure if it the one for you. Our Breezer Thunder One review will give you the answers you need. 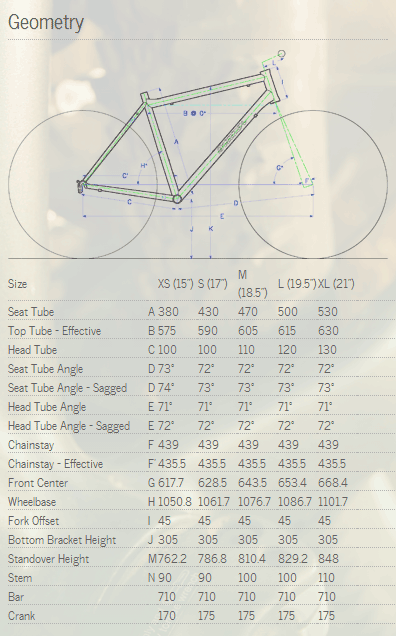 We’ve done the testing and have the details about this bike. Keep reading to get the lowdown on this wicked ride and what makes it a good value for the price. If you’re in a hurry and just want to see the best price for the Thunder One, we got you covered! Click here to see the best price for the Breezer Thunder One. 1.1.1 Why Ride A Single Speed Mountain Bike? 1.2 What Is the 2014 Breezer Thunder One? 1.3.1 What Is It Best For? Let’s go over a few things unique about single speed mountain bikes and make them worthy of consideration for your next ride. You’re probably familiar with geared bikes. And maybe the last time you rode a single speed ride was back when you were a kid. But they really have gotten popular lately for adult bikers for several reasons that may make one a good choice for you. Why Ride A Single Speed Mountain Bike? A decked out mountain bike costs some serious cash because of all the specialized components. That means a lot more things can go wrong with an MTB. And parts don’t come cheap. That’s where a single speed comes in as an alternative ride without the added hassle. A single speed bike is an excellent choice if you’re on a limited budget. And what you’re not spending on components can go into a better design. It’s also a smart option if you don’t know a lot about bike maintenance and really aren’t interested in doing all that extra stuff. But a single speed ride isn’t for everyone. If you do extreme racing or biking, you may not be able to get a bike at this price point with a decent design and full suspension. Then, there are the hills to think about too because a single speed ride is another experience entirely. 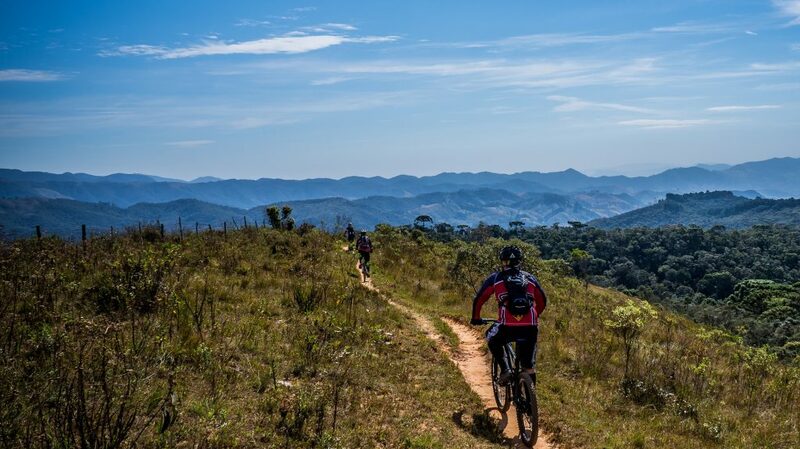 Biking in rough terrain isn’t easy without those tiny gears to get you up steep slopes. Depending on the build, you may not get the speed that you want either. In that case, you probably should stick with a geared bike instead of going the single speed route. What Is the 2014 Breezer Thunder One? Dominate the trails with the Thunder One. The 2014 Breezer Thunder One is Breezer’s first venture into the single speed world. Just because it’s a first edition doesn’t mean it isn’t a great bike for the money. The aluminum-frame MTB is built for strength and power without the extra weight of a steel frame. The entire design includes many of the high-end features that you’d expect from Breezer. It not only performs well, but it looks great racing down the trail. The design is solid and well-made which makes it a smart investment for an MTB. The bike has several features unique to Breezer bikes with the details that any mountain biker will appreciate. Let’s run down some of the things you should look for when searching for your next ride. It will be in the specs where you’ll see the difference between a high-quality bike and one that is of lesser value. Sometimes manufacturers will skimp on some of these components to save on costs. Let’s run down what to look for when buying a single speed trail bike. The Breezer Thunder One MTB is a solid bike that can handle rough terrain but is versatile enough for cross-country rides. It offers the advantages of a single speed bike with low maintenance. It is definitely a serious upgrade with an excellent set of components. It’s a smart choice for the biker who wants to up his game and knows what details matter when you’re on the road. A ride costing near the $1,000 range is big investment, so it pays to get a bike that delivers with quality. The Breezer Thunder One succeeds admirably. The Breezer Thunder One is rugged and able to handle rough terrain thanks to the added strength of the D-shaped profile on the tubes. 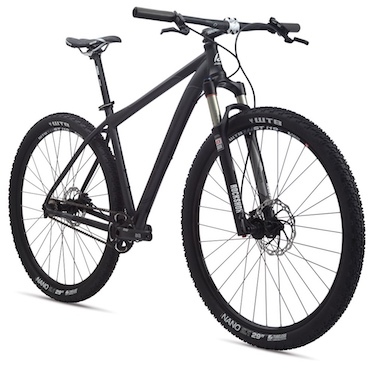 The bike comes with WTB ST i19 TCS tubeless-ready rims and 2.1″ WTB Nano TCS tubeless ready tires. The bike has a slick, flashy design with gloss black and gray that looks mean going down the road. It has Decipher hydraulic disc brakes for superior stopping power no matter what the road conditions. Pedals aren’t included with the bike. It can be a dealbreaker if you want something ready to go right away. At this level, a lot of guys trick out their rides the way they want anyway. It’s a lot to pay for a bike that has a front-only suspension which nixes it for technical rides. The 32×18 single speed drivetrain is not built for speed if that’s your thing. Ready to get out and ride? What you don’t get with shifters and derailleurs, you get with an upgrade of components on the Breezer Thunder One. Virtually every part of the bike shows the attention to details that this manufacturer is known for too. Let’s run down the list of goodies. For an MTB, this is one versatile bike. It rides well no matter what the surface. It handled smooth and responsive in our testing both on the road and the trails. It may not be the fastest bike on the road, but it was a real pleasure to bike. The strength of the design is one of the perks you get when you buy a bike in this price range. The rear triangle is a solid build that is meant to last for the long haul. The fork is a RockShox Reba 29 RL with 100mm of travel. Taken as a whole, that makes it a worthwhile investment. The Breezer Thunder One includes a fine set of components that more than make up for the lack of gears. From the brake set to the levers to the frame, it’s all here. It isn’t just about the parts themselves but also their placement in the design. That’s where this bike stands out from the rest. The Breezer Thunder One has several unique features that we’ve come to expect from this manufacturer. The overall design shows the careful planning that went into this high-quality build. The main frame is Breezer D’Fusion Hydroformed Custom-Butted 6066 Aluminum. The rear triangle is also aluminum with Breeze-In Dropouts and an Apex Disc Mount. The wider layout distributes the shock and stress of the road better to cut down on fatigue. The bike has Decipher Hydraulic Disc Brakes with 180mm in the front and 160mm in the rear. The Apex disc mount and its placement on the chainstay protects it and increases the power and performance. The wheels are 29-inch WTB ST i19 TCS rims which are tubeless ready. The tires are WTB Nano 29×2.1″ TCS tires that are also tubeless ready. 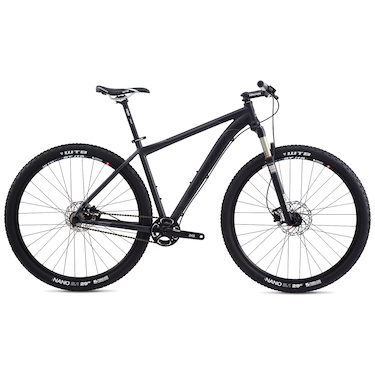 These are good choices for a bike that you can take on rough terrain or cross country. Here are the details for the Breezer Thunder One. The Breezer Thunder One comes in at just under $1,000 at $999.99. At this price point, it is a major step up from cheaper bikes that may skimp on some of the components. You’re getting your money’s worth with this ride. If the price or other features concern you about it, here are some other bikes that would be fine replacements for the Breezer model. We’ll point out a few things about each one. Nashbar Single-Speed 29er: The best thing going for the Nashbar Single-Speed 29er is its low price. If you’re new to the sport, it’s a great way to dive into the deep end without paying a lot. It’s a decent bike, but some components like the pedals are a bit on the cheap side. Click or tap here to learn more about the Nashbar Single-Speed 29er. State Bicycle Co Pulsar: The State Bicycle Co Pulsar is similar to the Nashbar with an aluminum frame and steel chromoly steel fork for a nice compromise between strength and weight. On the downside, it doesn’t come with tubeless ready tires. However, it does come with a conversion kit so that you can make it a geared bike if you want to that route for the best of both worlds. Click or tap here to learn more about the State Bicycle Co Pulsar. Diamondback Overdrive Comp 29er: The Diamondback Overdrive Comp 29er comes in at the same price as the Breezer. The components on this aluminum-frame bike are excellent. It’s a worthy contender. Is the Breezer Thunder One the right bike for you? It is definitely a step up from similar models with a solid design that can take the punishment of rugged terrain. It has an excellent set of components that makes its price point a good value for what you get. As our Breezer Thunder One review found, it is a trail and road-worthy bike that is versatile and fun to ride. Our testing found it that it met and exceeded our expectations. The two downsides are the lack of pedals and full suspension. The former is easy to fix, the latter, not so much. If you’re firm on the $1,000 budget, you’re going to exceed it with this one by just getting pedals which are going to set you back some extra cash. But overall, the Breezer Thunder One is a great ride that is certainly worth considering if you’re looking to upgrade your MBT game.